10" round wood beer label signs. Made in the U.S.A.
8.75" x 8" Heart shaped signs with rope handles. Made in the U.S.A. 2/cs. Made in the U.S.A.! Waterproof, UV protected and aluminum coated for durability. Think outdoor street signs! Round signs are 9" in diameter. Rectangular are 9" x 12". Made in the U.S.A. Caution signs. UV Protected, waterproof, aluminum durable signs. Each design is 9" x 12". 9" x 6" signs with rope. Signs come in packs of 2. The Assortment includes 2 ea/6 designs. Made in the USA! Proudly made in the USA! These 5" x 5" wooden signs will charm anyone and everyone's heart! Sign can be hung on the wall or use the easel back to display on a table! 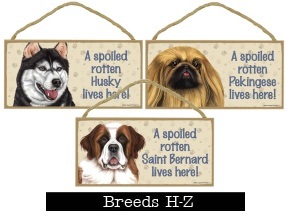 Fun decorative signs for your home, mailbox or doghouse! 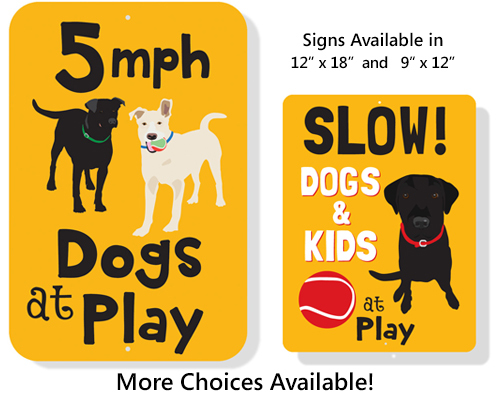 6"x18" plastic signs sold in set of 3 per design. 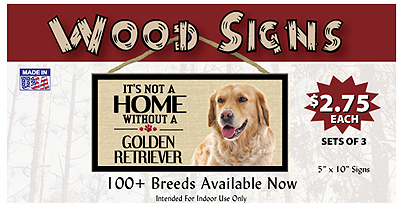 It's not a home without "your favorite breed" wooden signs! Signs measure 5" x 10". 3 per design. For indoor use only. Made in the USA. Indoor/Outdoor flags come in 2 sizes: Garden- 12" x 18" or Large-28" x 40" and are made from 2 pieces of fabric sewn back to back to withstand even the most severe weather. Beautiful USA made wood signs that measure 5" x 10" in size. 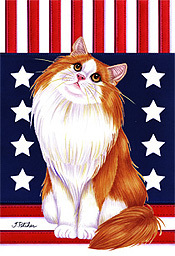 Available in over 90 different breeds featuring the beautiful artwork of artist Tomoyo Pitcher. 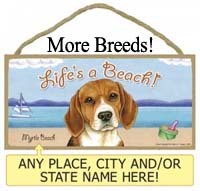 Beautiful USA made wood signs that measure 5" x 10" in size. Available in over 90 different breeds featuring the beautiful artwork of artist Tomoyo Pitcher. See details for more breed images. 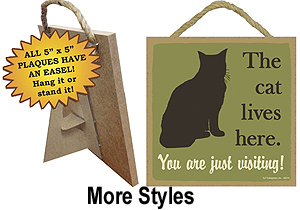 Love & Laughter Wood Signs - USA made wood signs that measure 5" x 10" in size. 1 per case. Best sellers are marked with *. Top 28 Seller Display includes 6/ea, display and signage. 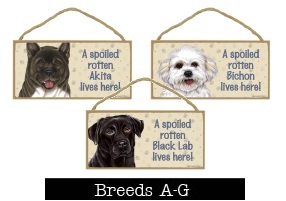 Wanted Breed specific signs! 10" x 16" wood signs. Available in 24 different breeds. Comes complete with suction cup for hanging in a window. Sold 6 per case. Comes complete with suction cup for hanging in a window. Available in over 70 different breeds featuring the beautiful artwork of artist Tomoyo Pitcher. Sold 6 per case. See details for more breed images. Express Yourself Signs measure 5" x 7" in size and have both a magnet and a Velcro button on the back (great for hanging in an office cubicle!) Sold 4 per case. See details for more breed images.